This entry was posted in DIY beauty, Industry News, Skin Care Tips, Tips and tricks, Weird Science, You Should Know by sally. Bookmark the permalink. 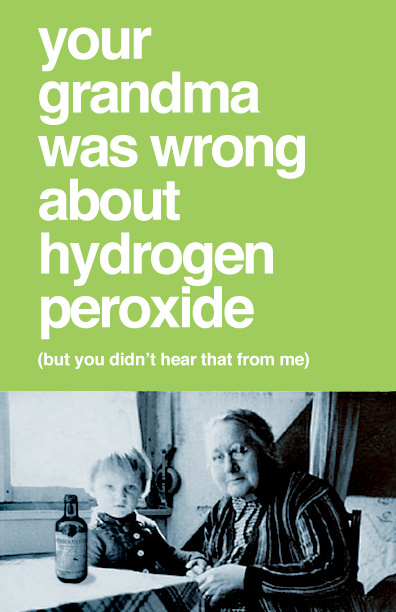 I have not had problems using peroxide, and in fact, I got really soft skin from bathing in it when I had skin sores from a tick bite. It healed the sores when nothing else would. I used one container of peroxide plus one container of salt in a bath for them. Before I used Neosporin, soaps, several ointments, oils, you name it. I had the sores for months before i used peroxide and salt baths to get rid of them. So I have got to admit, I don’t see myself taking it off my boards.